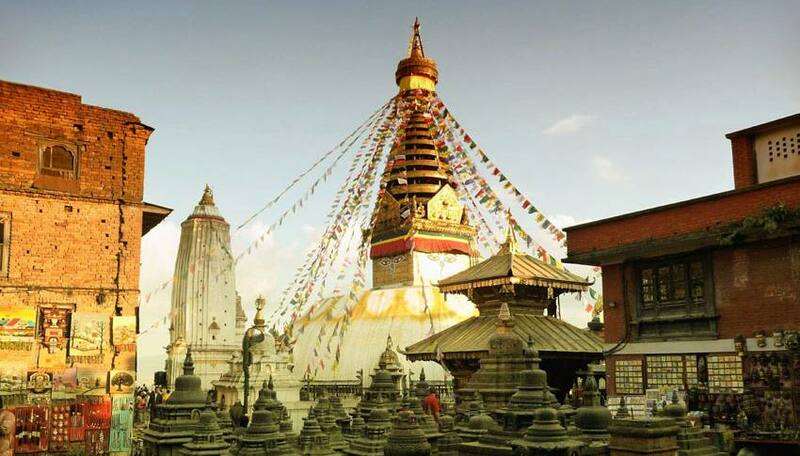 The Kathmandu Valley Day Tour gives visitors the opportunity to see the best of the World Heritage Sites filled with temples, shrines and stupas in one day. The Kathmandu Valley is filled with cultural, historical and architectural wonders. What better way to see the best of them all than with a guided tour. A guide will be able to explain all of the historical, cultural and religious aspects and you will be transported between all of the places as well. You will visit Kathmandu Durbar Square with it’s narrow alleys and multitude of temples. This was built mostly in the 16th and 17th Centuries and features traditional Newari pagoda style buildings including the home of the Kumari Princess, Nepal’s living goddess. Pashupatinath Temple is one of the holiest Hindu Temples in the world. Located on the banks of the Bhagmati River it is dedicated to Lord Shiva and is the site of the cremation ghats in Kathmandu. BoudhanathStupa is one of the largest Buddhist Stupas in the world and is surrounded by many Tibetan Buddhist monasteries. Here you can see the colorful prayer flags fluttering, visit many gift shops and watch the monks undertaking their circumambulations in the afternoon. Patan is one of the 3 cities of Kathmandu, here you can see the famous Golden Temple as well as the Patan Durbar Square complex. This area is famous for the artisans that are based here and houses a large concentration of temples in a very small area. Swayambhunath otherwise known as the Monkey Temple is one of the most iconic sights in the Kathmandu Valley. Located on a hill in the north western part of Kathmandu the Buddhist stupa on the hilltop can be seen from the Thamel tourist area. It is called the Monkey Temple due to the large number of monkeys that inhabit the forest surrounding the stupa. The view from the top is beautiful and particularly rewarding at sunset.